911: Planned Parenthood Abortionist Sends 2nd-Trimester Patient to Hospital IN State Senator requests investigation of Planned Parenthood abortion clinic See documents below for Planned Parenthood of Indiana and Kentucky, and Planned Parenthood of Greater Indiana. Indiana medical license application file for abortionist Caitlin Bernard, MD (formerly Caitlin Bernard Parks). Indiana medical license application file for abortionist Sarah J. Turner, MD. Indiana medical license application file for abortionist Rhiannon Rae Amodeo-Bankert, MD. 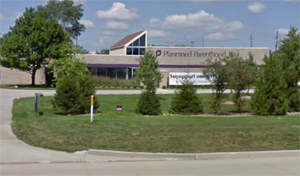 Girl files suit against Planned Parenthood of Greater Indiana after sustaining permanent injuries from use of birth control pills provided by a PP clinic in Hammond in 2004. Plaintiff Angela Brown sues Planned Parenthood of Indiana & Kentucky for disability discrimination. Brown was a Planned Parenthood employee and was diagnosed with cervical cancer. Angela Brown alleges that PP made it very difficult for her to take time off work for her cancer biopsies. Brown also says that when she called to take the day off for her cancer surgery, PP refused and said she needed a "valid reason" to miss work. Angela Brown states that PP fired her two weeks after her cancer surgery, for "standing during a staff meeting," despite the fact that there were no open chairs left. See pages 2-4.